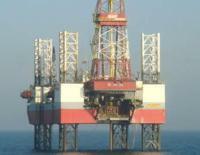 Petroceltic International says that a joint venture comprising Petroceltic and Edison International Spa (Edison) was the successful bidder for the North Port Fouad Block, in the Egyptian Natural Gas Holding Company 2013 International Bid Round. North Port Fouad (Block 7), is located offshore the Nile Delta and lies to the north of, and immediately adjacent to, the North Thekah Block, which was awarded to a Petroceltic/ Edison joint venture in 2013. The combined area of both licences is in excess of 7,000 square kilometres.